The wage gap between men and women is at a 25 cent difference in Kent county, according to a new study by the Michigan League of Public Police. In Kent County, the median house hold income for men is at nearly $50,00 per year. But for women, the numbers tell a different reality with a median household income of less than $38,000 per year. 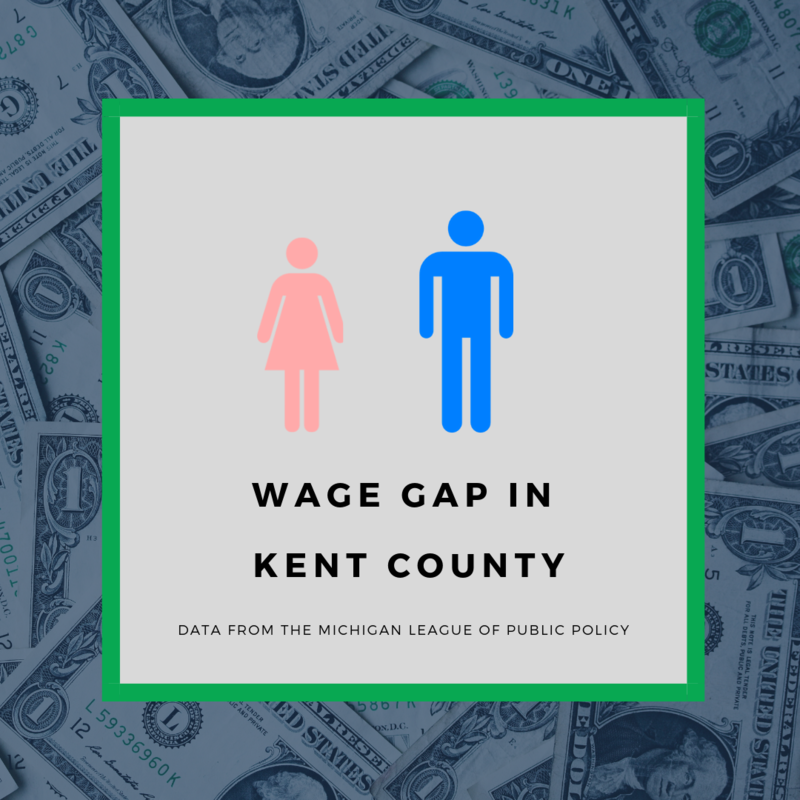 This data shows, says Peter Rourke, the senior analyst for the Michigan League of Public Policy, that women working in Kent County make 25% less than men do. Although nationally, the gap in wage gap has shrunk by 21 cents since 1980, according to data from the U.S. Census Bureau but the gender pay gap continues to affect women of color the most. Rourke says one of the reasons the gender pay gap exists is because not enough supports are available to ensure women can sustain their jobs, especially when many women hold the majority of low paying jobs. Advocating for a better childcare subsidy, increasing minimum wage, and better overtime protections according to Rourke is what will help end the disparity in wage in Michigan.